Since March 2006, he became CEO of EDP Energias de Portugal and since April 2017, he is Chair of the Administrative Board of Sustainable Energy for All. He is also the President of the Business Council for Sustainable Development in Portugal (part of the WBCSD regional network) since April 2016. Born on the 12th of July 1957 in Lisbon, he received a degree in Economics from the University of Geneva (Switzerland) in 1980, where he was Assistant Lecturer in the Department of Economics. He was also a lecturer at Universidade Nova de Lisboa and at Universidade Católica from 1982 to 1995. He served as Assistant to the Secretary of State for Foreign Trade from 1986 until 1988. From 1988 to 1990 was Vice-Chairman of the Board of Directors of ICEP (Portuguese Institute for Foreign Trade). From 1990 to 1998 became Board of Director of Banco Espírito Santo de Investimentos and, in 1998, he entered the Gas sector as Chairman of the Board of Directors of Gás de Portugal and Transgás. In 2000 he joined Galp Energia as Vice-Chairman of the Board of Directors, and became Executive Chairman of the company in 2001. In 2004, was appointed Minister of Public Works, Transport and Communication of the Portuguese Government. In 2013 he received the Honoris Causa Graduation from “Instituto Superior de Economia e Gestão” (ISEG) and in 2014 he was honoured by The President of the Portuguese Republic with the “Grã-Cruz da Ordem do Mérito Empresarial”. 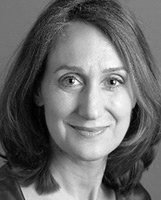 Elizabeth M. Cousens is Deputy Chief Executive Officer of the United Nations Foundation. Dr. Cousens previously served as U.S. Ambassador to the UN Economic and Social Council and Alternate Representative to the UN General Assembly, where she led U.S. diplomacy at the UN on human rights, humanitarian, and development issues, including leading U.S. negotiations on the Sustainable Development Goals. She has served on the boards of UN agencies, funds, and programmes, and was the U.S. representative to the UN Peacebuilding Commission, and earlier served as Principal Policy Advisor and Counselor to the U.S. Permanent Representative. Dr. previously served with the United Nations in Nepal and the Middle East and is a recognized expert on peace processes and international conflict management. Dr. Cousens has a D.Phil. in International Relations from the University of Oxford, where she was a Rhodes Scholar, and a B.A. in history and an Honorary Doctorate from the University of Puget Sound. 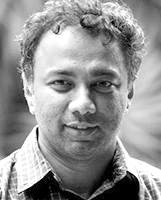 Harish Hande is an engineer and renewable energy entrepreneur with over 20 years of grassroots experience in meeting requirements of underserved communities. He is the co-founder of SELCO India, and under his leadership SELCO reached 450,000+ households across 6 Indian states, while focusing on Innovation and Ecosystem building. Harish, a graduate from the Indian Institute of Technology, Kharagpur and a Masters and PhD from University of Massachusetts, US, returned to India to start SELCO in 1994-95 after experiencing benefits of solar energy in rural areas of Dominican Republic and Sri Lanka. Having installed the first 1000 home lighting systems on his own and over 450,000 households now through his company SELCO India, Harish is recognized as a pioneer of rural energy service across the globe. 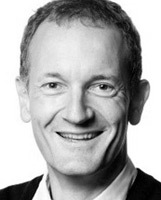 Steve Howard is the Co-Chair of We Mean Business, Campaigner, Business Leader, and Former Chief Sustainability Officer, IKEA Group. 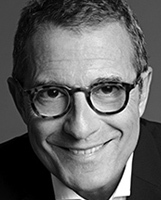 In his former role as CSO at IKEA, Steve was responsible for the Company's sustainability strategy, environmental and social performance, the impact of its products. Steve believes that sustainability will be one of the mega-trends that shape society and the business landscape this century. He is committed to developing innovative ways to make sustainability attractive and affordable for everyone. Daniel is HSBC’s Group Head of Strategy in London and Global Head of Sustainable Finance. In his role, he oversees the development of HSBC’s global strategy, allocation of resources, and the implementation of the Group’s strategic projects. Since June 2017, he also leads the Group’s efforts to become a global leader in Sustainable Finance as Global Head of Sustainable Finance. The shift to a low carbon economy presents material risks and opportunities for financial institutions. Prior to joining HSBC, Daniel was a Partner at McKinsey & Company where he served financial institutions and private equity firms across Europe and Asia. At McKinsey, Daniel was also member of the global operating committee of the firm's corporate and investment banking practice. 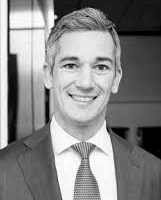 Daniel holds a PhD from his studies at Columbia University and the University of Dortmund after studying Business Administration at the University of St. Gallen in Switzerland and the London School of Economics. Robert MacIver is a UK government Civil Servant and Infrastructure Adviser for the Department for International Development (DFID). An engineering professional, MacIver spent seven years in the private sector in mechanical engineering manufacturing before joining the Department for International Development. He now advises DFID on its policy approach to SDG7 and Sustainable Energy Policy. On 4 May 2018 he was appointed by the SEforALL Funders’ Council as their Chair. In this capacity he represents the Funders' Council on the Administrative Board. 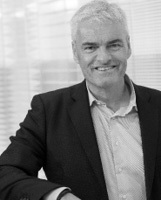 Gerard Penning is a senior executive at Royal Dutch Shell, based in London. Over the course of a successful career he has gained a true breadth of business and professional experience. Assignments in Marketing, Sales and Commercial roles have been followed by a distinguished career in Human Resources, in which Gerard has built a strong track record in multiple areas of the business, including Global Recruitment, Information Technology, and the Corporate Functions. More recently, he has been on the executive teams of the two largest businesses in Royal Dutch Shell – Upstream and now Downstream. Gerard’s passion lies in working within global, highly complex businesses to navigate the full range of external trends and disruptors and transform them into business opportunities. Royal Dutch Shell has a history of providing energy solutions to the World for over 100 years, but now faces one of its biggest challenges yet as it sets out on a deliberate path to become a provider of sustainable energy solutions. For Gerard, personally the global energy transition creates an exciting leadership challenge in which he is ‘front and centre’. Finding ways as a business to deploy a range of lower carbon products and quickly develop new, innovative solutions for customers, supported by different business models and ways of working is the sort of complex, business-critical challenge from which he gains personal and professional satisfaction and motivation. Gerard holds a master’s degree in Law from Leiden University. 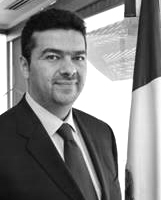 Beltran was appointed Deputy Secretary for Planning and Energy Transition in December 2012 by the President of the Mexico. He holds a Masters in Public Administration in International Development from Harvard Kennedy School and a Bachelor of Science in Economics by the Instituto Tecnológico Autónomo de México (ITAM), and studied Law at the Faculty of Law of the Universidad Nacional Autónoma de México (UNAM). In 2005, Deputy Secretary Beltran joined the Secretariat of Energy (SENER) as Director of International Negotiations. Under this capacity, he participated in high level meetings of the Asia-Pacific Economic Cooperation-Energy Working Group (EWG), the International Energy Agency, the UNFCCC Conference of the Parties, the Carbon Sequestration Leadership Forum, North American Security and Prosperity Partnership (SPP), as well as bilateral negotiations. In 2010, he was appointed Director-General for Information and Energy Studies at SENER, where he participated in the National System of Science and Technology and collaborated in the information system of technology and scientific research of the National Council of Science and Technology (CONACYT), as well as in the development of the Special Program of Science and Technology. He also coordinated the intersectorial working group on Carbon Capture, Use and Storage (CCUS) and a working group for the development of a Sustainable Buildings’ Mexican Standard. Mr. Beltran was responsible for the organization of the Energy Efficiency and Access Forum held in Mexico City on September 2010, the Geothermal International Forum also held in Mexico City in October 2013, as well as the International Renewable Energy Forum, held in May 2014 at the Riviera Maya. He participated in the Summit on the Global Agenda of the World Economic Forum and has been Member of the Global Agenda Council on the Future of Electricity. Zouera Youssoufou is the managing director and CEO of Dangote Foundation, based in Lagos. In this role, she leads the Foundation’s efforts to improve the health, nutrition and educational outcomes for the less fortunate, primarily in Nigeria and in Africa. Prior to joining Dangote Foundation, Youssoufou was the World Bank Country Manager for Gabon, Equatorial Guinea and Sao Tomé and Principe. As such, she was the front-line person in the relationship with all three Governments and conducted day-to-day dialogue with all levels of Government, donors and civil society. 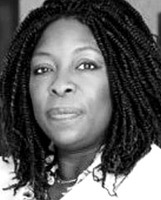 Prior to this, Youssoufou spent 6 years at the International Finance Corporation, where she led the Global Women in Business Program (WIN). She joined the World Bank Group in 2005 from Citigroup’s Smith Barney unit in New York and Atlanta where she covered emerging markets and 13 industry sectors as an Equity Research Analyst. 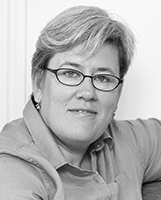 Rachel Kyte is Chief Executive Officer of the Sustainable Energy for All (SEforALL), and Special Representative of the UN Secretary-General for Sustainable Energy for All. A leading advocate for sustainable development, Ms. Kyte is focused on affordable, reliable and sustainable energy as the key to combating both poverty and climate change. Ms. Kyte drives SEforALL’s work to mobilize action towards its 2030 goals of ensuring universal access to modern energy services; doubling the global rate of improvement in energy efficiency; and doubling the share of renewable energy in the global energy mix. As Special Representative for the Secretary General she is the point person in the UN for action towards the recently agreed global goal on sustainable energy.